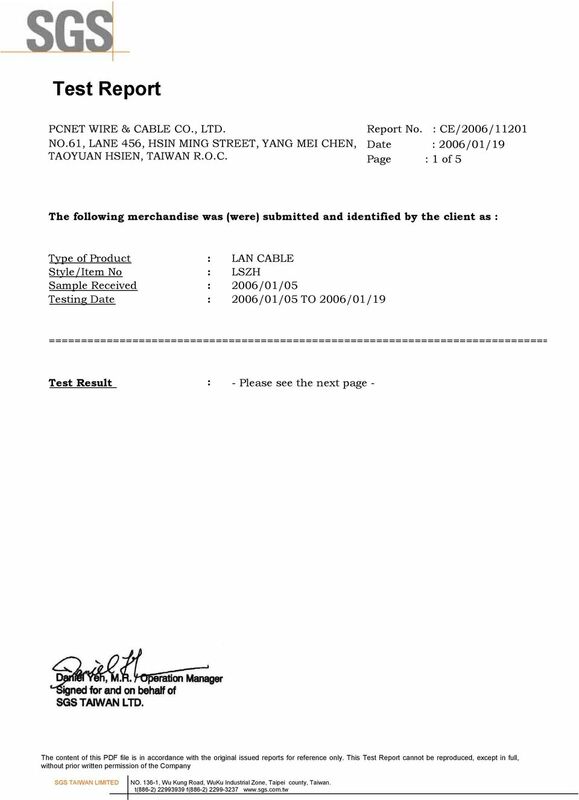 Download "The following merchandise was (were) submitted and identified by the client as : LAN CABLE LSZH 2006/01/05 2006/01/05 TO 2006/01/19"
2 Page : 2 of 5 Test PART NAME NO.1 : PURPLE PLASTIC JACKET Monobromobiphenyl % Dibromobiphenyl % Tribromobiphenyl % Tetrabromobiphenyl % With reference to Pentabromobiphenyl % USEPA3540C or USEPA3550C. 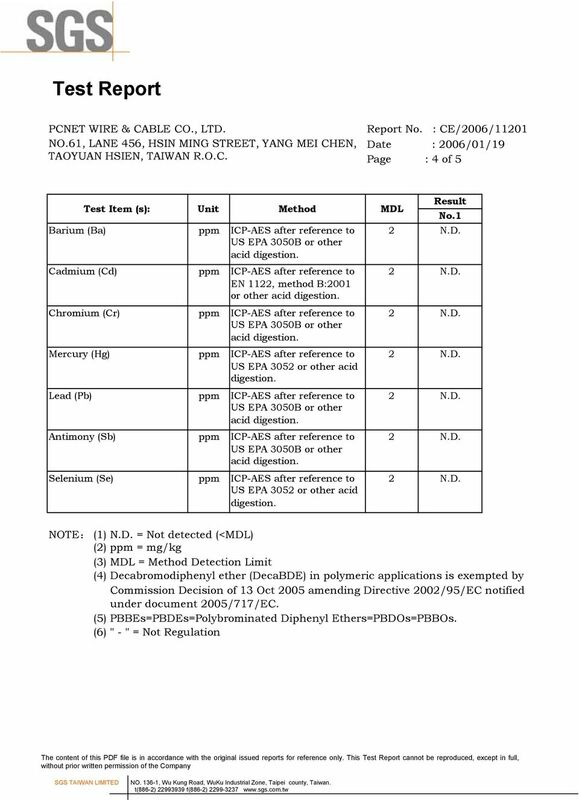 Analysis was Hexabromobiphenyl % performed by HPLC/DAD, Heptabromobiphenyl % LC/MS or GC/MS. 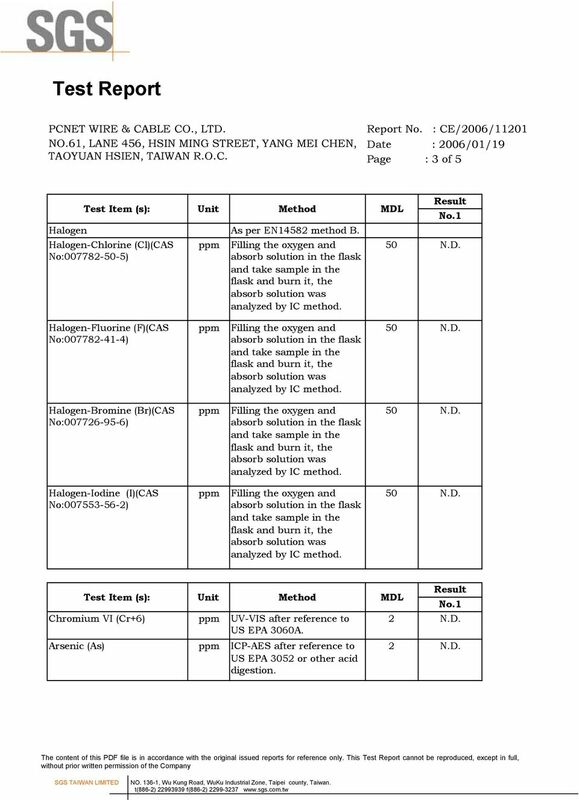 Octabromobiphenyl % (prohibited by 2002/95/EC Nonabromobiphenyl % (RoHS), 83/264/EEC, and Decabromobiphenyl % 76/769/EEC) Total PBBs (Polybrominated biphenyls)/sum of above % - N.D. Monobromobiphenyl ether % Dibromobiphenyl ether % Tribromobiphenyl ether % Tetrabromobiphenyl ether % Pentabromobiphenyl ether % With reference to Hexabromobiphenyl ether % USEPA3540C or Heptabromobiphenyl ether % USEPA3550C. Analysis was Octabromobiphenyl ether % performed by HPLC/DAD, LC/MS or GC/MS. 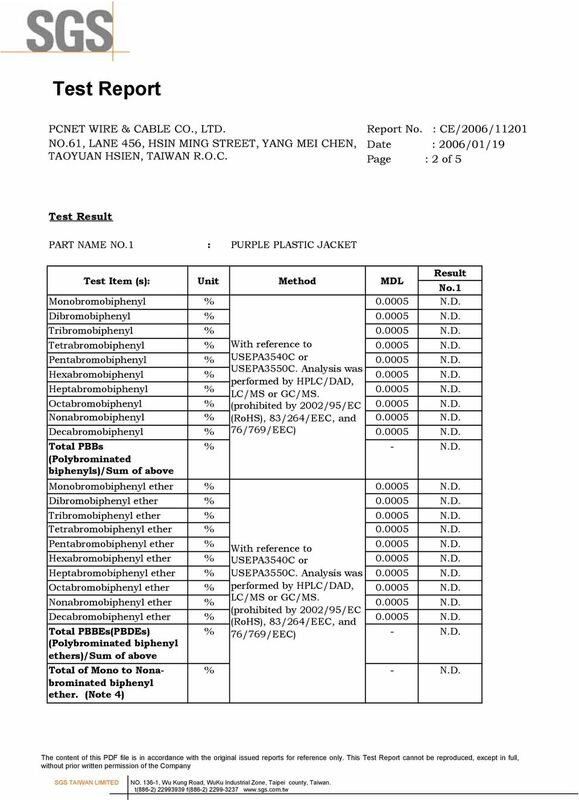 Nonabromobiphenyl ether % (prohibited by 2002/95/EC Decabromobiphenyl ether % (RoHS), 83/264/EEC, and Total PBBEs(PBDEs) % 76/769/EEC) - N.D. (Polybrominated biphenyl ethers)/sum of above Total of Mono to Nonabrominated biphenyl ether. (Note 4) % - N.D. 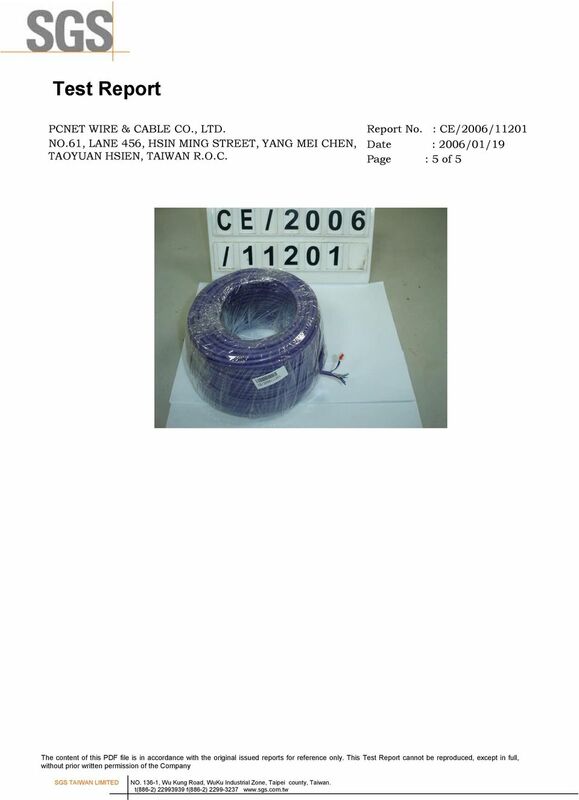 The Dangers Associated with Utilizing Unestablished Brands and Illegitimate Communication Cable. Example of typical energy consumption & emissions for Stone ITX Desktop PC* ETEC Annual Power Consumption*² 83.5 kwh Annual / kwh 9.